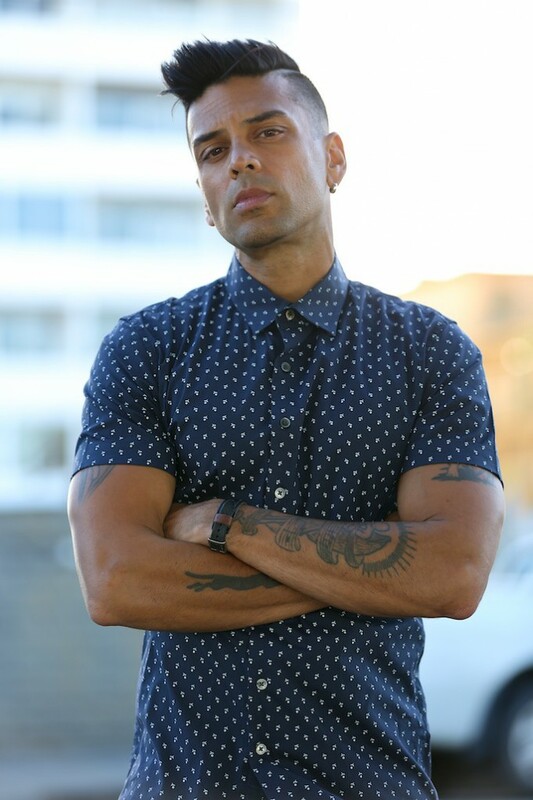 Andrew De Silva is hands down one of the most talented men in the Aussie music business. From cutting his teeth as part of Melbourne boyband CDB in the ’90s to winner of ‘Australia’s Got Talent’ in 2012, throughout plenty of challenges that have been thrown his way in the intervening years, his is a talent that’s endured… and continues to do so. With his funkalicious new single ‘I See The Future’ now rolling at digital retail and with a support role on the Shaggy tour kicking off tomorrow night, we thought it was high time to ask some pressing questions about the ride so far, the CDB rumours, the new single and whether there’s an album waiting in the wings. Q. Looking back on your AGT win back in 2012, what impact did it have on your life – and your career? A. It was real turning point in my life and career. Stepping out and sharing my life and songs with the nation was what that show was all about for me… Winning it was such a bonus! It’s now given me a chance to get back to creating again in the studio and releasing music. It’s what I do best and what fulfils me the most. Q. How have you had to adapt as an artist since winning Australia’s Got Talent? A. Not so much adapt but just become who I’m meant to be… I’ve always been writing and producing stuff. so it’s great to be able to get it out there. Q. What have been some of the biggest challenges you’ve had to overcome being an independent artist? A. I guess the main challenge is budget. You spend your own money upfront. I’m lucky that I produce my own stuff and have my own studio. Q. What do you think the mainstream media as a whole could be doing to better support independent talent? A. I think its pretty good. I’ve seen many independent artists make a real impact on the market. Q. So tell us a little bit about this new single of yours, ‘I See The Future’ and who you worked with on it. A. A friend of mine Mr Timothy (producer/DK) was working with my keyboardist Paul Cecchinelli on a new beat. They sent it to me and asked me to write a song over it. As soon as I heard it, I knew it was special. I just put it on and started dancing. I basically wrote the melody and lyrics whilst dancing. I sent it back to them and they flipped! I just wanted to write something that made you want to dance but had a deepness to it… like some of the great classics. Q. You can certainly hear elements of Michael Jackson in there. How has MJ’s back catalogue influenced your career over the years? A. I guess its just in my DNA. When you grow up with those grooves and melodies, they just influence you without you even knowing it. Q. Who are some of the artists you’re rating these days? A. I really like the different directions R&B is talking, especially the alternative R&B. I think artists like Frank Ocean and Miguel have really made me R&B interesting to me again. Q. And do we dare ask the inevitable question, “what do you see in your future”? A. Well even though I’ve been doing this music thing now for over 20 years, I feel like its a new chapter for me and that some of my best music is YET TO COME. Q. Is there an album on the horizon? If so, what can you tell us about it? A. Yeah it’s all on my watch now, so YES. It’s a real mix between future soul and R&B. I’ve also got a touch of funk in there as well as I cant help myself – I’m a bass player. Q. According to our sources, new material from CDB is also on the cards… what can you tell us about that? A. Well we’ve been asked to do a few shows. We did a gig with Salt N Pepa which just went off. We have been talking about it, but for now it may just be a few special gigs. Q. Do you have to pinch yourself when you think it’s 20 years this year since the release of ‘Let’s Groove’? A. YES, absolutely. It’s quite surreal sometimes because I just don’t feel like it was that long ago. Q. How has your perception of the music industry changed in those 20 years? A. It feels like now it’s easier to share your music with the world without leaving your studio. The downside is there’s not as much mystery as there use to be. So many artists, so many songs,so many bedroom studios. It’s great, but it’s just different now. Q. And you’re about to hit the road with Shaggy. What can fans expect from your set? A. Really can’t wait to get on that stage. I’m going to use this gig to showcase my new stuff. Some songs are so new that I’m still finishing them off. It’s a great way to test them out! Also looking forward to performing the new single and seeing people getting down to it. Andrew De Silva’s new single ‘I See The Future’ is available digitally now. Very excited to see Andrew perform his new songs at Shaggy concert in Melbourne!! !